A South Korean court on Thursday ruled that an employee suffering from leukemia after working at Samsung Electronics Co.'s chip production line should be recognized as a victim of an industrial accident. The verdict is the latest chapter in a controversy centered on the safety of the work environment at the tech giant. 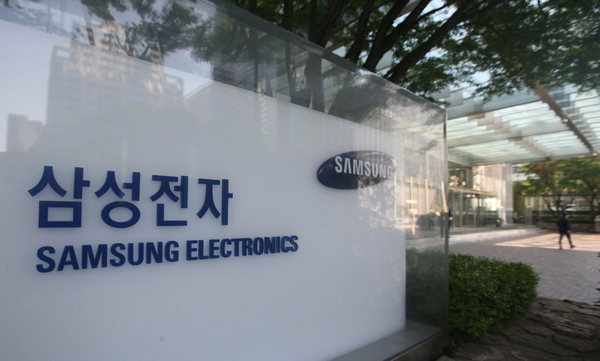 Seoul Administrative Court ruled that the Korea Workers' Compensation & Welfare Service should provide medical benefit to a 33-year-old employee who began working at Samsung's Giheung-based chip production line, south of Seoul, in 2003. The worker was diagnosed with leukemia in 2010 after being rushed to a hospital from his job. The anonymous worker applied to the state-run workers' compensation agency for medical benefit, but it declined to accept the application, claiming that it was unlikely that the individual had been exposed to hazardous materials. The worker's main duty was to inspect chip wafers. He was given a standard mask instead of a purpose-built one that offered more protection. The court claimed that it was reasonable to conclude that the environment had played a part in the worker's disease, considering that it occurred at an early age and that the victim's family had no history of such a condition. The court added the worker was frequently exposed to hazardous materials, including formaldehyde and benzene, for long periods of time. The ruling came a week after Samsung Electronics made a formal apology to all victims of work-related diseases who were employed at the company's chip and display production lines. Earlier this month, the mediation committee announced the settlement, which included compensation of up to 150 million won per illness. The compensation plan also covers congenital diseases suffered by children of the victims.